Indiana Attorney General Curtis Hill asked the Supreme Court Friday to rule on a 2016 law which bans abortions that are chosen solely due to a prenatal diagnosis of Down syndrome. In his petition, Hill argues that the state’s ban merits consideration in light of eugenics concerns raised due to the high Down syndrome abortion rates following advances in prenatal genetic testing. Hill’s petition to the Supreme Court makes the case that Indiana’s provision is a new type of abortion restriction and one that does not unduly burden a woman’s constitutional right to choose abortion. The petition also points out the urgency of a consideration of the issue by the Supreme Court given recent technological advances. A CBS report last year highlighted the near 100 percent abortion rate for those diagnosed with the condition in Iceland. Denmark has a 98 percent abortion rate following screening and diagnosis of the condition and in France the number is 77 percent. Amazingly, Seventh Circuit Court of Appeals Judge Tanya Walton Pratt and Planned Parenthood did not even dispute these eugenics concerns in their opposition to Indiana's ban. His petition points out that three other states have passed laws banning abortion on the basis of a genetic abnormality. Ohio recently enacted a similar ban which is currently also being challenged by the ACLU and Planned Parenthood. Similar legislation was made law in North Dakota in 2013 where it has gone unchallenged likely due to the fact that the state’s only abortion clinic does not perform abortions after 16 weeks of pregnancy. Louisiana also passed a ban on abortions on the basis of disability after 20 weeks in 2016. A consideration of Indiana's ban by the Supreme Court would be a significant victory for many disability rights activists who are concerned about the high abortion rates for those with Down syndrome. When Pennsylvania considered a bill to ban Down syndrome abortions in March, Karen Gaffney, a noted disability rights activist and champion swimmer who also happens to have Down syndrome, voiced her concerns on the matter. Frank Stephens, an actor, advocate, and adult living with Down Syndrome, spoke at a Congressional hearing last year to advocate for the medical community to do more research to improve the quality of life for those with Down syndrome rather than focus on prenatal testing. Ken Falk, legal director of Indiana’s chapter of the ACLU, responded to Hill’s petition Monday saying that "the state's request (for Supreme Court review) is yet another attempt by Indiana elected officials to take that decision out of a woman’s hands." Christie Gillespie, Indiana Planned Parenthood CEO, said that "by appealing to the Supreme Court, the state of Indiana is trying to not only chip away at Hoosiers’ rights, but also threaten the rights of people seeking safe and legal abortion care across the country." The Indiana ACLU will file a formal response to Hill’s petition next month. 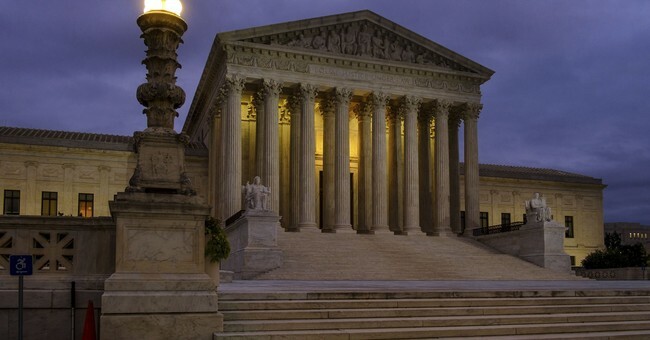 While the Supreme Court takes up less than five percent of the petitions filed with them, this case may stand a good chance of being heard based on the anti-discrimination concerns raised and the fact that now-Vice President Mike Pence originally signed the law in 2016.